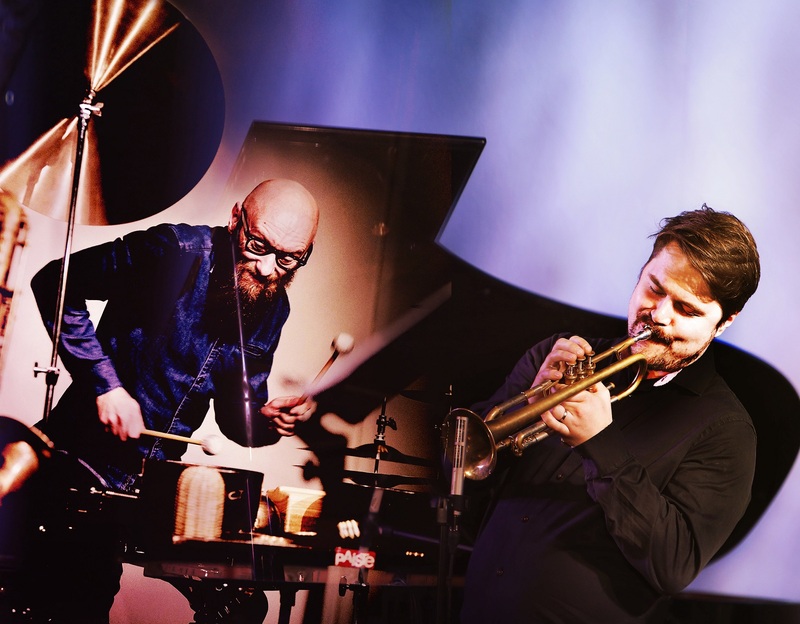 The trumpeter Verneri Pohjola and the drummer Mika Kallio have gained wider recognition in Europe through intensive touring and with the release of the album “Animal Image” (Edition Records) in 2018. The Finnish duo will perform their first concerts in France in May 2019, at the Europa Jazz festival in Le Mans, the Jazzdor Season in Strasbourg and the Finnish Institute in Paris. Animal Image (2017) is an experimental film project by Perttu Saksa. In Saksa’s 30-minute documentary the music is a wordless language between man and animal, an instinctive stream of sound weaving a web around the visual images. The film portrays the nature writer and photographer Heikki Willamo as he embarks on his journey towards attempting to capture the essence of an animal in an image. The images come alive with improvised music performed by Verneri Pohjola and Mika Kallio. The Animal Image album, full of Pohjola’s and Kallio’s captivating music, came out on the British label Edition Records in February 2018. The Finnish duo’s long companionship and telepathic interplay got a boost their intensive touring in Finland and Europe in 2018, which proved that their music has a strong identity of its own. They will perform their first Animal Image concerts in France in May 2019 starting with a presentation at the famous Europa Jazz Festival in Le Mans on May 9th. They continue on May 10th with a concert in Strasbourg as part of the Jazzdor Season. They will end their French visit in Paris with a concert at the Finnish Institute.